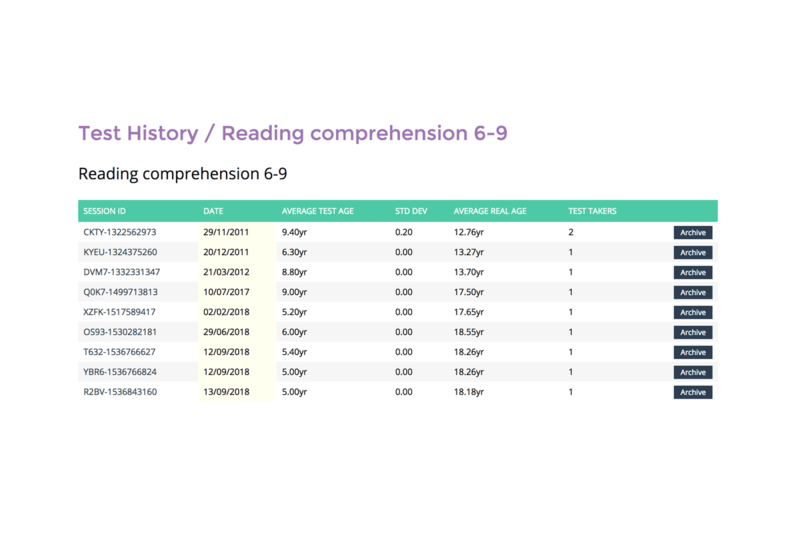 Literacy Assessment Online | Quickly measure, track & improve literacy in your school. With the current focus on literacy, this system provides an effective tool to evaluate & measure the impact of the literacy interventions schools have in place. Literacy Assessment Online is the software that reduces workload and frees up time to spend with pupils. How do you instantly improve literacy standards? Literacy Assessment Online is a collection of tests that help schools quickly measure and track literacy standards. Each test takes 20 minutes so you can assess an entire year group very quickly. 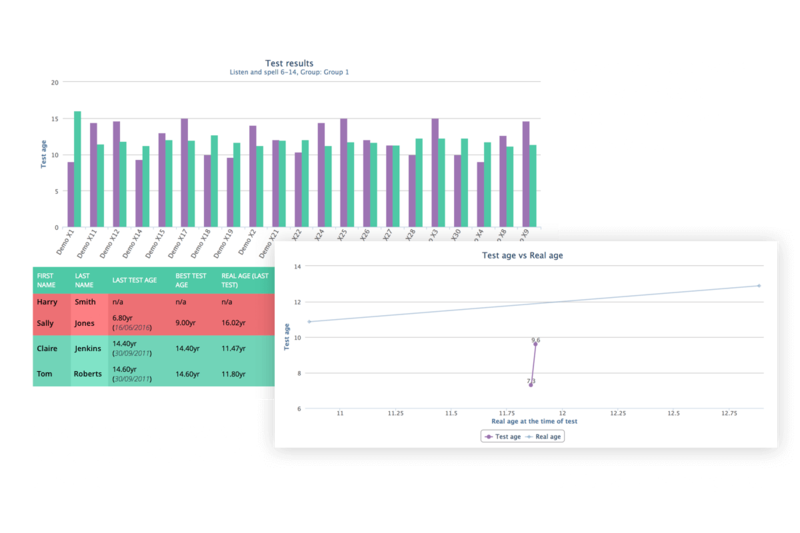 Assess pupils as often as you like at no additional cost. Quickly assess groups of pupils. 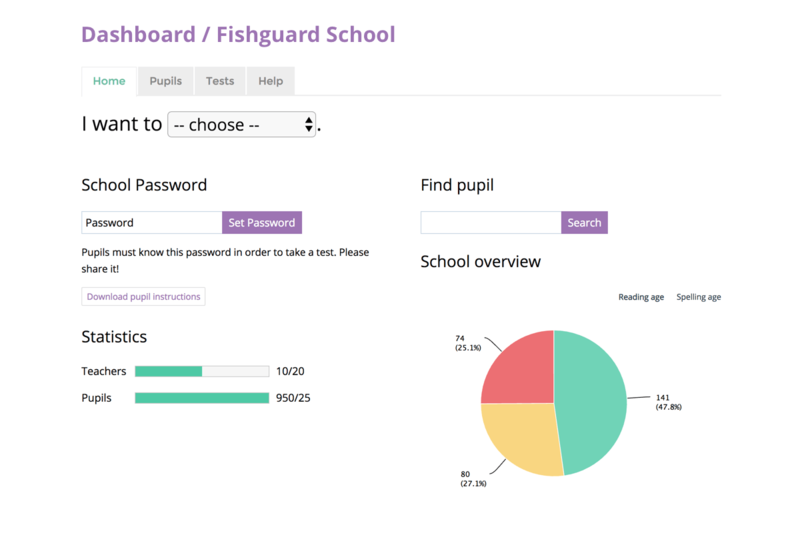 Simply test multiple pupils at once using a unique generated school password. Easy to use system with our activate a test and time scale options. Run tests as often as you need. 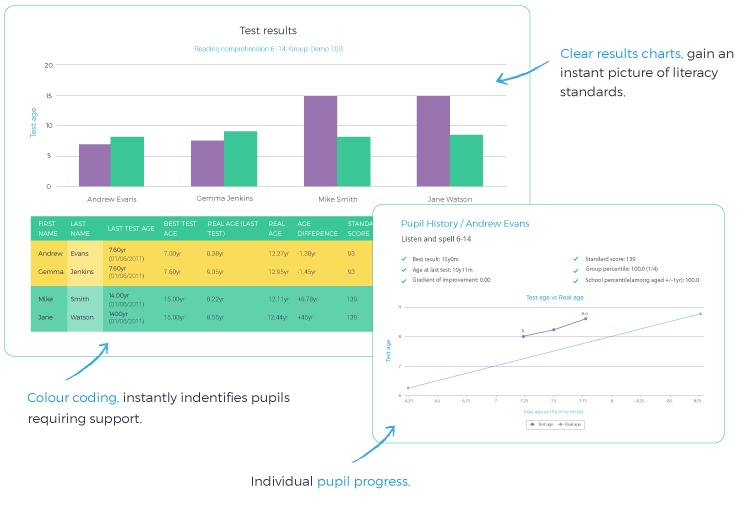 Gain a clear view of individual pupil progress. 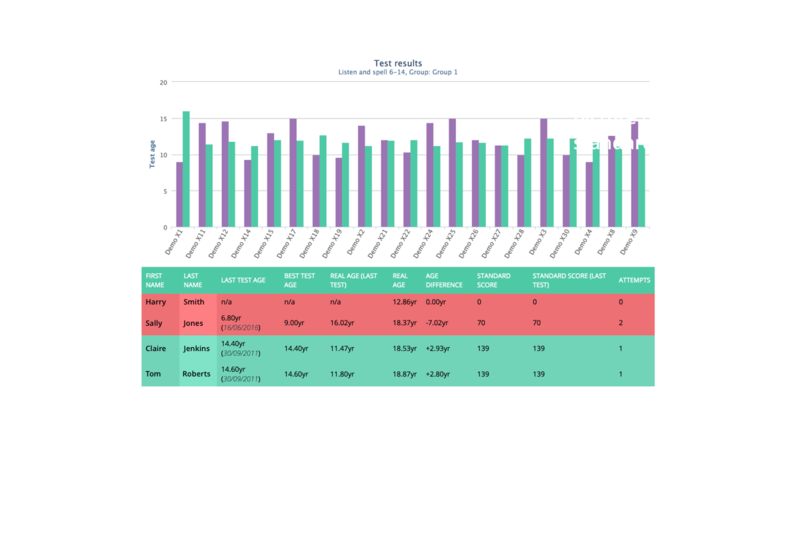 Export results to Excel to view all previous test results for individuals and groups of pupils. Provide detailed Ofsted evidence to show that your strategies are having an impact. View results over time to measure effectiveness. Colour coded results that highlight pupils that require further support. 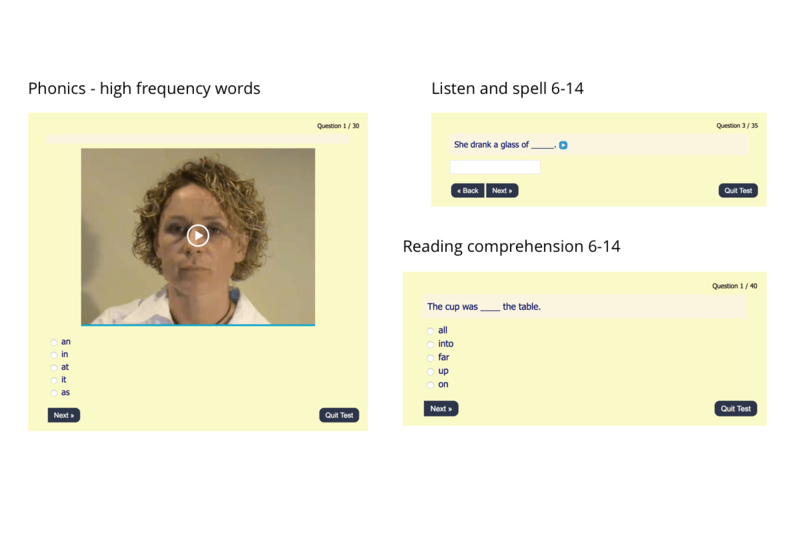 Get an instant picture of literacy in your school! Save Time! Tests are automatically marked which means instant results, giving you time to focus on the important thing: pupils themselves! With Literacy Assessment Online you can instantly start to see the pupils who need the most support from the colour coded charts and graphs automatically produced for you. We understand the hesitancy some schools have with new computer systems and we offer support to ensure that administration of the assessments is a smooth process. Each school is assigned a member of our team to assist them with implementing the system. Data import of required pupil details. Online demonstrations are available on request. 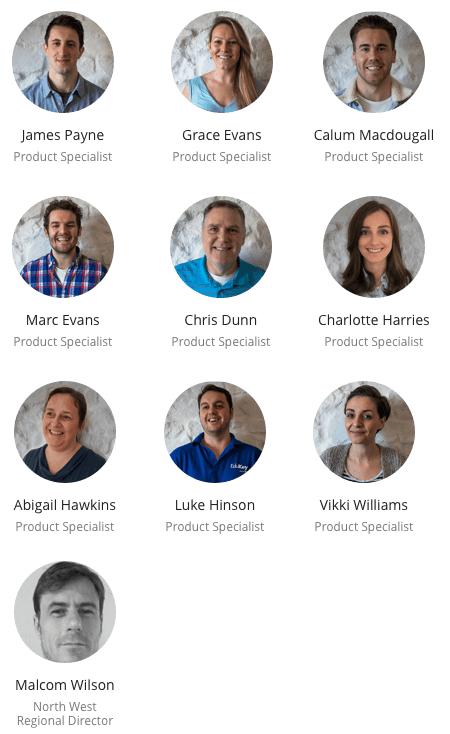 Extensive user guides and user documentation. *24hour response request are only possible during the working week. Support requests on weekends will be answered Monday. For Literacy coordinators who need to stay organised & quickly gain an insight into literacy standards across your school, Literacy Assessment Online is the software that reduces workload and frees up time to spend with pupils.